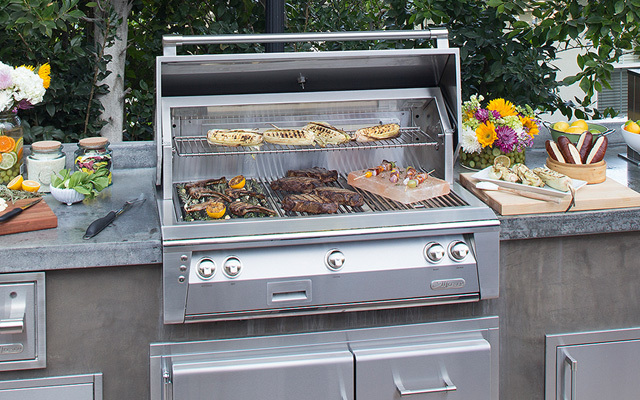 For nearly two decades, Alfresco has set the standard by which all other outdoor cooking products are measured with their now famous ALX2 SERIES Grills. The bar has been raised yet again, as Alfresco continues its legacy of commercial restaurant-quality product innovation in the NEW ALXE SERIES. With updated features, detailing, and aesthetics, it’s never been more exciting to create the Alfresco outdoor kitchen of your dreams.